Bestselling authors and good friends Sylvain Reynard (Gabriel Series, The Prince and soon to be released The Raven) and E.L. James (Fifty Shades of Grey) teamed up for a fun blog post that celebrates Reynard’s newest venture: The Florentine Series. The authors share a jaunt through the darker side of Florence, fully immersed in the world of Reynard’s characters. They find themselves under the intense scrutiny of a mysterious figure in the shadows: The Prince of Florence. I love this joint venture. It’s fun seeing the two authors “in” this environment. I love the collaboration between the two bestselling authors and the fact that it also gives fans a glimpse into their personalities. There is a whole other world that comes to life in Florence as soon as the sun goes down. With The Prince, New York Times Bestselling author Sylvain Reynard launches the brand new Florentine Series in which we meet the eponymous Prince of Florence. The Prince is furious because one Professor Gabriel O. Emerson has arrived at the Uffizi with his young wife, Julianne, to celebrate the opening of the gallery’s newest exhibit: One hundred illustrations of Dante’s Divine Comedy, created by the Renaissance master Botticelli himself. Emerson’s collection is the most comprehensive set of copies in existence…only the Prince knows better. Not only are they not copies—they’re originals—they were stolen from him over a century prior. Yes, you’ve guessed it: The Prince isn’t an ordinary man. He is a vampyre. The Prince is a novella that introduces readers to the darker side of Florence ahead of the release of the first full novel in the series, The Raven, due out on February 3rd. It truly is an amuse bouche of a story, designed to draw readers in and captivate them with the mysterious figure known only (at this point) as the Prince. Fans of Reynard’s Gabriel Series will delight in seeing The Professor and Julianne once again in The Prince; the novella is set during the gallery opening at the Uffizi in Gabriel’s Redemption. Gabriel and Julia meet the mysterious Englishman in a chance encounter, and Gabriel is immediately suspicious of the strange man. Little does the couple know, however, that they have been under his surveillance and he’s hell-bent on recovering his prized collection, at any cost. The Prince of Florence is powerful, fierce, respected, alluring, and deadly. Despite his power and his devastatingly good looks, there is an underlying melancholy in his demeanor that he must keep hidden from his council and the other vampyres around him. As with all of Sylvain Reynard’s books, The Prince has been meticulously researched so that the setting is just as much a character as the Prince and the rest of his preternatural companions. The city of Florence shines in the golden light of Reynard’s prose. Reading Reynard’s books is like taking a survey course on the history of Florence and its art and architecture. The Prince is a wonderful introduction to the Florentine Series. Fortunately for readers, the next book arrives in a few short weeks, providing just enough of a taste to whet their appetites. 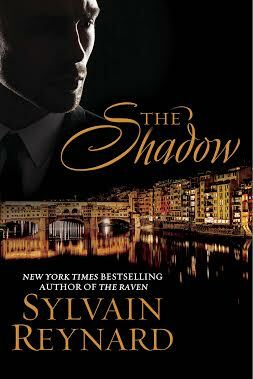 Click here to read my interview with Sylvain Reynard.